"YOUR JOURNEY IS OUR PASSION"
These activities are a walk in the park! You will be able to enjoy the scenery, history, and time with loved ones without exhausting yourself. You do not need any special training, gear, or acclimatization for an “Easy” trek or tour. Terrain will be generally flat and comfortable, highly traveled. A step up from “Easy,” these tours require a little more physical effort but are still 100% manageable to anyone with or without adventure experience. Again, you do not need special training, gear, or acclimatization for a “Mild” trek or tour. Terrain is generally flat but with possible gentle up- and downhills. Before embarking on a “Moderate” trek or tour, you should be at least partly acclimatized to the high altitude of the Andes as it affects your oxygenation, energy levels, and hydration. These tours are still very manageable without special training as long as you have spent a day or two at high altitude. Terrain often includes moderate up- and downhill walking with possible rough patches or infrequently-traveled sections. “Challenging” treks or tours require that you are acclimated to the Andes’ high altitude before leaving as it affects your oxygenation, energy levels, and hydration. Spending 2-3 days or more at high altitude will help you on the trek. You will need hiking shoes and possibly trekking poles for these treks. You will need to be in good physical shape, and it’s recommended that you train at least some beforehand, possibly with running, biking, or strenuous workout videos. Terrain is often rough, sometimes with steep up- and downhills and often not highly traveled. Generally, these last several hours. These “Formidable” treks are our most difficult treks and require serious effort but are also the most rewarding. It is necessary to be in pristine physical condition. Again, you must be acclimated to the Andes’ high altitude before leaving as it affects your oxygenation, energy levels, and hydration. Spending 4-5 days or more if possible at high altitude will help you on the trek. You will need hiking shoes and possibly trekking poles for these treks. It is important to train physically before these treks so that your body is prepared for the strenuous nature of the trip. Generally, these last at least an entire day in infrequently-traveled areas with rough paths. Magic Tour Peru: feel the magic that reverberates in the sacred Inka city of Cusco. Pass through the stunning Sacred Valley of the Inka, interact with the living ancient culture, and arrive to the enigmatic city of Machu Picchu. Navigate Lake Titicaca through the floating inhabited islands of the Uros and the island of Taquile. Discover the magic that enshrouds the Andes and its cultures. Museum of the Central Bank. Shuttle from the airport to hotel. The rest of the morning will be reserved for resting to adapt to the altitude, approximately 3400 meters (11,000 feet). In the afternoon we will visit the Inka Museum, home of thousands of years of Andean culture. Here we will become more familiar with the origens and beginnings of Andean civilizations. Continuing with the tour we will move onto the temple of Koricancha, the famous Sun Temple of Qosqo, that was and still remains the pinaccle of organization, architecture, and religion of Inka civilization. During its construction they had already achieved the greatest advances of their time, and this temple may have been the exact representation of the center, or “Navel of the World” and therefore the center of the world, as dictated by the pre-hispanic Andean cosmovision. Lodging: Cusco Tandapata Boutique Hotel *** or similar. We will begin our day with the journey to Saqsayhuaman. This Inka architecture with its magnificient qualities and colossal stones is considered in humanity’s history one of the greatest constructions on the face of the Earth. From here we will continue on to the Temple of the Moon, a place for spiritual connection and encounter with the feminine energy of the Moon Goddess. In the afternoon we will travel by car to the town of Ollantaytambo where the train station to Machu Picchu awaits our transfer to the town of Machu Picchu (Aguas Calientes). You will have the option to visit and enjoy the hot springs. Lodging: Aguas Calientes Waman Hotel *** or similar. Today we will rise very early for breakfast and ascend to the citadel Inka of Machu Picchu (approx 25 minutes by bus) to appreciate sunrise in this magical place, a famous masterpiece of architecture and engineering, believed to have been a santuary and energetic center. Today Machu Picchu is recognized by UNESCO as one of the seven wonders of the world and a World Heritage site. OPTIONAL: The trek to the peak of Huayna Picchu, a rigorous climb on steep trails with impressive ruins and spectacular views, a round-trip of 2 hours. Return to “living” Inka town of Ollantaytambo by train and continue by car to Moray, an ancient construction designed for agricultural investigations and studies of different crops in a range of altitudes. Here the many concentric “rings” of terraces produce a fine gradient of micro-climates; the warmth of the lowest central ring slowly dissapates as the rings ascend outward and upward, creating reductions in temperatures until reaching the ground-level norm. Lodging: Chinchero Casa de Barro Lodge. Chinchero: the rainbow village, home of the ruins of the royal palace of the Inka Túpac Inca Yupanqui, a picturesque community located on a high plateau overlooking the many snowcapped peaks of the Cusco region. Here we can admire the well-preserved Inka walls of the main square as well as the many altars. We will also visit the beautiful colonial church, unique for its interior artwork and imagery. Moving on we will participate in a wonderful introduction and learning experience of the art of Andean textiles; throughout the afternoon we will become acquainted with the wisdom of Andean weavings as maintained since long before Inka times. Traditional food will be prepared for lunch here. Travel to the Sacred Valley of the Inkas towards the town of Pisaq. We will stop on the way to visit the animal sanctuary of Cochawasi: here we may observe many of the native Andean species such as the puma, Andean cóndor, alpacas, and many more. Further en route we will stop for at a spectacular viewing location to observe the Urubamba river as it curves like a serpent through the mosaic-like agricultural lands. As we continue towards the town of Pisaq, we may also observe the construction design of the archaelogical site of Pisaq, which many say portrays the profile of a condor. Pisaq is known mainly for two reasons – for its famous craft market and for its archaelogical site. Here we will have free time for wandering the market to interact with the many local artisans. The ruins of Pisaq, high above the modern town on the mountain, are one of the most important of the Sacred Valley. Raqchi: A Inka temple dedicated to the god Wiracocha, construction of monumental dimensions, an estimated 100 meters long, 26m wide, 14m high. This is the only known temple dedicated to the God Wiracocha, creator of the Universe. La Raya: Midway point on our journey and highest point on the road – 4335 m.s.n.m. The impressive views here allow us to admire the rugged high altitude, full of tall peaks, many of which are snow-capped, and herds of llamas, alpacas and vicuñas. This is the geografic border between two cultures, the Quechua of Cusco and the Aymara of Puno. Pucara: This ceremonial center is one of the oldest and most important of the high plains, well known for its lithic structures and tombs. Lodging: Puno Qalasaya Hotel **** or similar. A full day of boat excursion afloat Lake Titicaca. We will visit the ancient culture of the Uros and step foot on their floating islands. The islanders will give us a presentation about their lifestyle upon their man-made islands, built using the totora reed which grows among the shores of the lake. We will learn about their existence on these small islands and how they have adapted to its conditions. Continuing across the lake we will arrive to the island of Amantani. Here we will meet the Quechua families that will offer us a cosy home-stay style lodging and prepare us traditional food for lunch. After lunch we will make the short ascent to the two hilltops of the island while observing the daily lifestyle of the local people. Atop of the island we will visit two ancient pre-Inka temples, Pachatata and Pachamama (father & mother cosmos). In the evening after dinner the community members will hold a small welcoming party for us. After breakfast on Amantani we will board the boat again to make the short trip to the neighboring island of Taquile. Here we will ascend the beautiful stone paths to the community, a small and quite shy population, not to mention very hard-working and wise, a culture full of art and tradition. Taquiles’ people are cheerful and proud of their origen and culture, happy to share with us the beautiful atmosphere of island life upon the immense lake Titicaca. Intra-flights. (Lima- Cusco / juliaca- Lima). 10 night’s accommodations 3 stars hotels. 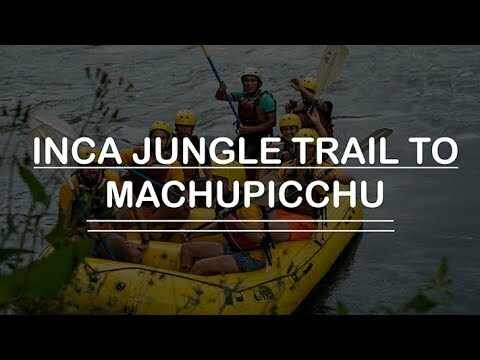 Private guided tour in Machu Picchu. Travel Insurance – you are strongly recommended to take out travel insurance for the duration of your trip. Sturdy shoes, a good raincoat, and warm layers for the evening are the only essential items. Bring comfortable and modest clothes for the time in Cusco. There is no need to bring a sleeping bag or any gear as you’ll be staying in lodges throughout the expedition. How to contact Inkayni Peru Tours? Inkayni works 24 hours per day, in their differents booking forms and free information: by e-mail, by telephone, and by our web page. Inkayni Peru Tours, will organize all about your trip, hotels, transportation, meals, and others items for give you an amazing trip. If you want to organize your own packages to visit PERU, Inkayni is the only tour operator which give you the alternative to do your own packages and give you options for your hotels and your kind of transportation. You can book with us with 50% of the cost of your trip, and you will pay the other 50% when you will be in Cusco city with us. Airport and airlines located in the port of city of Callao, Lima´s Aeropuerto Internacional Jorge Chavez 01-517-3100 www.lap.com.pe. Callao is serviced by flights from North, Central and South America, and two regular direct flights from Europe (Madrid and Ansterdam) check the airport website or call 01-511-6055 for update departure and arrival schedules for domestic and international flights. Cusco has the only other airport with international al service to La Paz, Bolivia. Do I need a Visa to enter Peru? With a few exceptions (notably some Asian, African and Communist countries), Visa are not requiered for travelers entering Peru. Tourist are permited a 30 to 90 day stay, wich is stamped into their passports and onto a turist card called Tarjeta Andina de Migracion “TAM”(Andean Immigration card), that you must return upon leaving the country. Be careful not to lose your tourist card, or you will have to queue at immigration office (oficina de migraciones), also simply known as migraciones to get a replacement card. 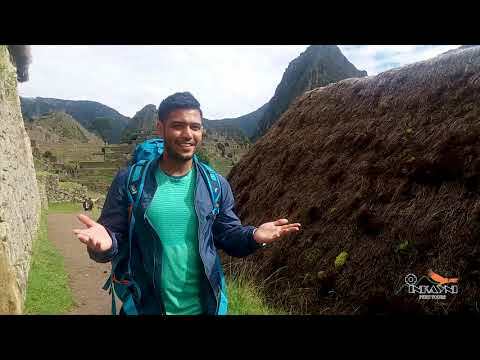 It is a good idea to carry your passport and TAM on your pocket at all times especially when traveling in remote areas, for example: it is required by law on the Inca Trail. For security get a photocopy of both documents and keep them in a separate place form the originals. Peru uses the Nuevo Sol (S), which has traded from S3.00 to S3.30 per US dollar (US$) for several years although you should keep an eye on current events. Carrying cash, an ATM card or traveler´s checks, as well as a credit card that can be use for cash advances in case of emergency, is advisable. When receiving local currency, always ask for small bills (billetes pequeños), as S100 bills is hard to change in small towns or for small purchases. Carry as much spare change as posible, especially in small towns. Public bathrooms often charge a small fee for use and getting change for paper can be darn near impossible. The best places to exchange money are normally foreign exchange bureaus (casa de cambio), which are fast, have longer hours and often give slightly better rates than banks. Many places accept US dollars. Do not accept torn money as it will likely not be aceppted by Peruvians. It is best not to change money on the street as counterfeits are a problem. Do you know what voltage the sockets have (110 or 220)? What are the standars plugs? Electrical current is 220V, 60HZ AC, Standard outlets accep round prongs, but many places will have dual-voltage outlets which take flat prongs. Even so, you may need and adapter with a built-in surge protector. Peru is a diverse country in natural and cultural resources so you only need a passport to enter the country and take some precautions that will help you to enjoy the wealth of this beautiful land. Public pay phones operated by Telefonica-Peru (www.telefonica.com.pe) or Claro-Perú (www.claro.com.pe) are available on the street even in small towns. Most pay phones work with phone cards which can be purchased at supermarkets and groceries. Often internet cafes have private phone booths with ¨net-to-phone¨ and ¨net-to-net¨ capabilities (such as skype), where you can talk for pennies or even for free. When calling Peru from abroad, dial the international access code for the country you are in, then Peru¨s country code (51), then the area code without the 0 and finally, the local number. When making international calls from Peru, dial the international access code (00), then the country code of where you are calling to, then the area code and finally the local phone number. In Peru any telephone number beginning with a 9 is a cell-phone number. Numbers beginning with 0800 are often toll-free only when dialed from private phones, not from public pay phones. What is the time difference between the United States and Peru? Peru is five hours behind Greenwich Mean Time (GMT). It is the same as Eastern Standard Time (EST) in North America. Daylight Saving Time (DST) is not used in Peru, so add an hour to all of these times between the first Sunday in April and the last Sunday in October. Peru has three main climatic zones: the tropical Amazon jungle to the east, the arid coastal desert to the west, and the Andean mountains and highlands in between. In the Andes, which have altitudes over 3500m. average daily temperatures are around 10°C (50°F) and overnight temperatures can dip will below freezing. Travelers flying straight to Cuzco (3250m), or their hight altitude cities, should allow several days to aclimatize since altitude sickness or soroche can be a problem. April to November is the dry season in the mountain and Andean Plateau (altiplano). the wetts months are from December to March. It rains al the time in the hot and humit rainforest, but the driest months there are from April from November. However, even during the wettest months from December to March, it rarely rains for more than a few hours at a time. Along the arid coastal strip, the hot summer months are form December throught March. TOUR TYPE: Cultural, History, Nature, Outdoor. Continue reading Adventure in the Colca Valley at Blog Inkayni Peru Tours. 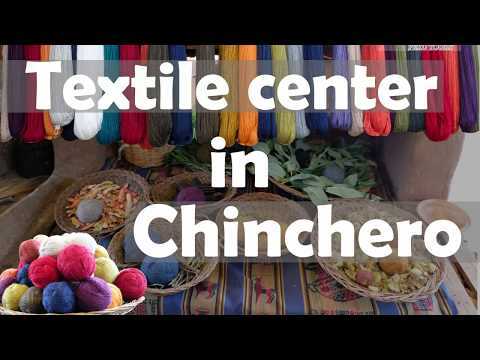 Continue reading Textile art in the city of the rainbow – Chinchero at Blog Inkayni Peru Tours. Continue reading Reasons to fall in love on a trip: at Blog Inkayni Peru Tours. SAVE UP TO 50% ON TOURS! Get exclusive access for special members, only deals by email.